Our biggest bag. 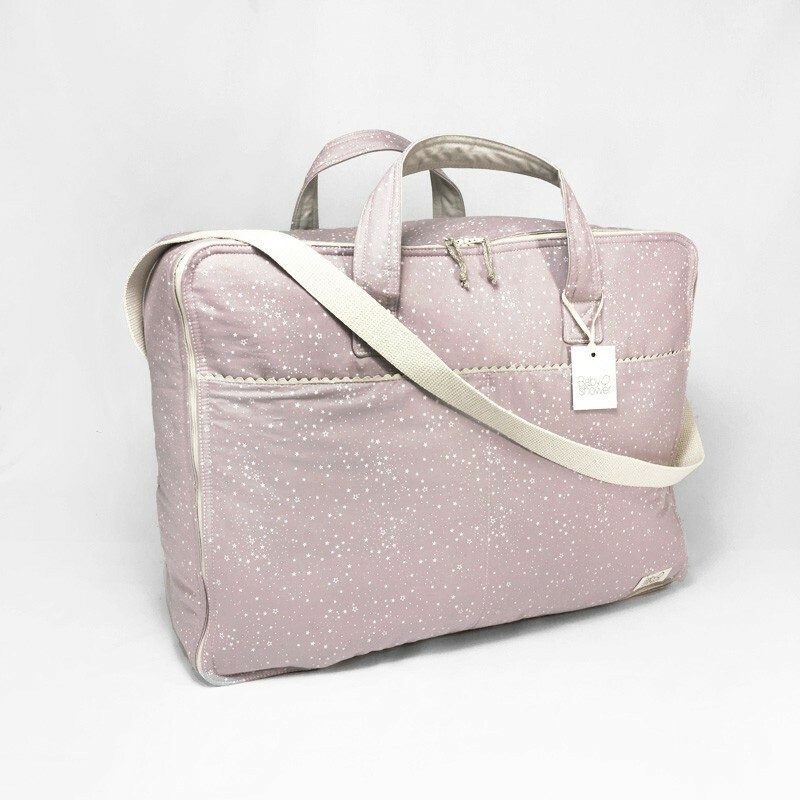 It is the ideal option as a maternity bag when expecting twins or for longer trips. It has great interior capacity, an inside pocket, a wide opening, double handles and, best of all, our unique Babyshower style. Exterior in printed fabric. Our biggest bag. 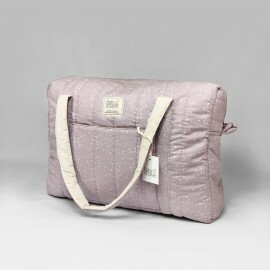 It is the ideal option as a maternity bag when expecting twins or for longer trips. It has great interior capacity, an inside pocket, a wide opening, double handles and, best of all, our unique Babyshower style. Exterior in printed fabric. DIMENSIONS: 50 x 38 x 19 cm. RODUCT CARE: Washing machine up to 30C gentle cycle. Do not tumble dry. Can be ironed at low temperature. CARE ADVICES HAND WASH. IRON AT LOW TEMPERATURE. AVAILABILITY IN STOCK - 72H FOR INTERNATIONAL DELIVERY. So useful! 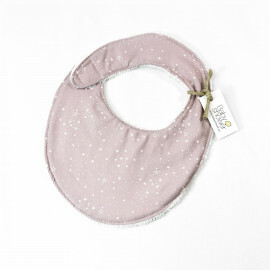 Bib designed to be used from birth up to baby's first year. Use it, wash it and use it again. Velcro closure. It's time for a real fairytale heroine. Jellycat's Petronella the Pig Princess is pink, pudgy and perfect! Smart and squashy with a cool silver crown, she deserves a royal welcome. Petronella has neat stitched hooves, a springy tail and bright black eyes, as well as those gorgeous foldy-soft ears. Baby's first suitcase. 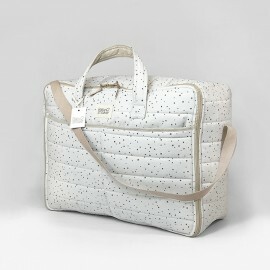 You will use it from the first day your baby is born and you'll find it especially useful for weekend trips. Exterior in Acotex 100% cotton printed fabric. Interior is in ecru cotton. Interior pocket. Ideal to take full advantage of its great capacity. 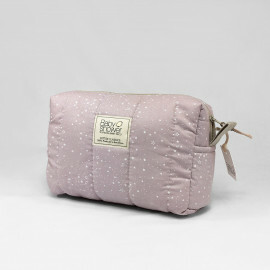 Large toiletry bag that can't miss in your babies bag. Flexible so that it takes up less room. ECOTEX 100% Cotton exterior, quilted. White plastic coated interior with side pocket. Wide capacity. Ribbon clip to fasten dummy. It is very practical to keep baby's dummy always at hand. Our biggest bag. It is the ideal option as a maternity bag when expecting twins or for longer trips. 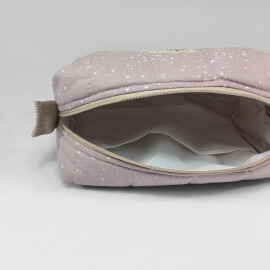 It has great interior capacity, an inside pocket, a wide opening, double handles and, best of al,l our unique Babyshower style. Exterior in printed fabric. Our biggest bag. It is the ideal option as a maternity bag when expecting twins or for longer trips. It has great interior capacity. an inside pocket. a wide opening. double handles and. best of all. our unique Babyshower style. Exterior in printed fabric. Our biggest bag. 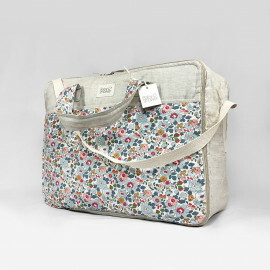 It is the ideal option as a maternity bag when expecting twins or for longer trips. It has great interior capacity, an inside pocket, a wide opening, double handles and, best of all, our unique Babyshower style. 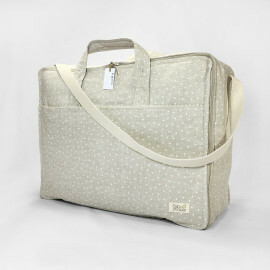 Exterior in beige linen printed fabric. Our biggest bag. 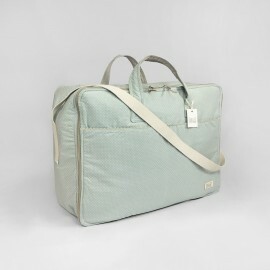 It is the ideal option as a maternity bag when expecting twins or for longer trips. 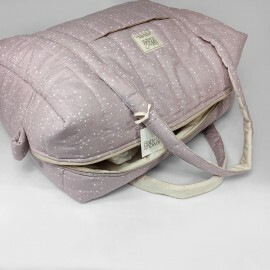 It has great interior capacity, an inside pocket, a wide opening, double handles and, best of all, our unique Babyshower style. Exterior in 100% beige linen fabric. Our biggest bag. 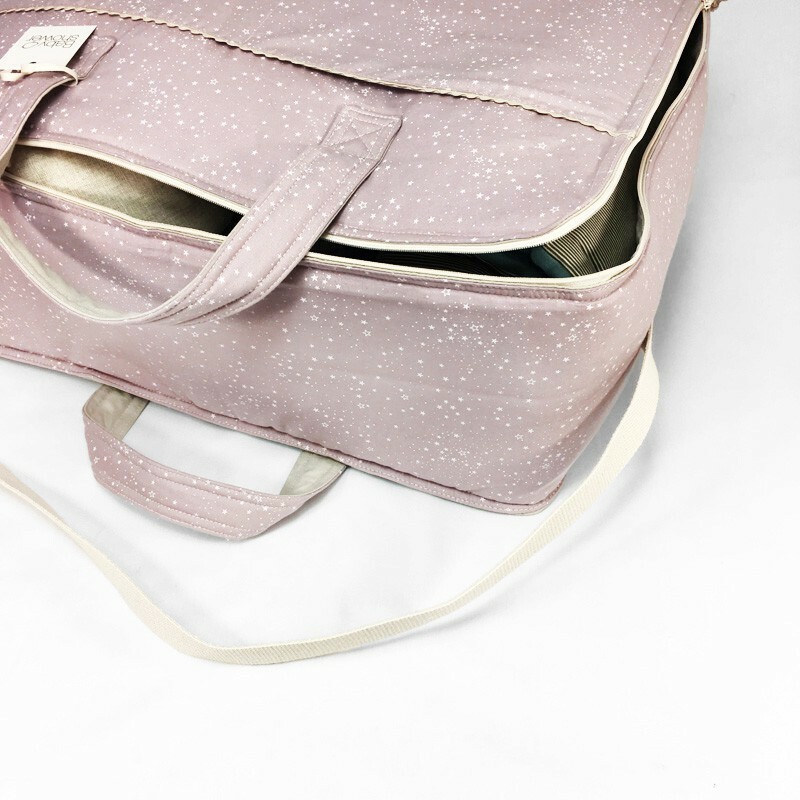 It is the ideal option as a maternity bag when expecting twins or for longer trips. 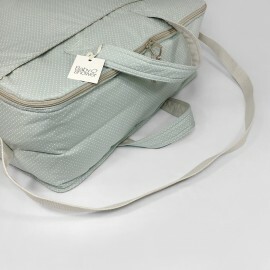 It has great interior capacity, an inside pocket, a wide opening, double handles and, best of all, our unique Babyshower style. Exterior in GOT CERTIFIED 100% cotton fabric.